This is an innovative 4-1/2” x 6-1/2” hand-stitched envelope with moiré lining and your choice of outer materials. 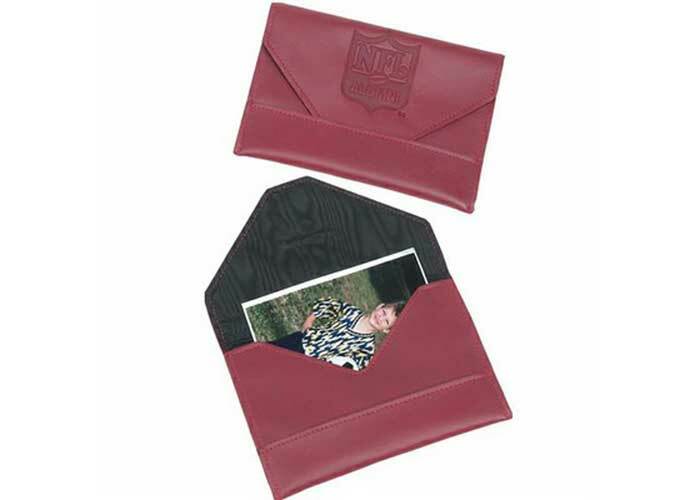 It can be used to hold your 4” x 6” photographs, travel documents and receipts. It has all the functionality of a standard paper envelope with the elegance of leather or leatherette construction. Advertise your company in style. • Standard Winston full grain, or leatherette colors.